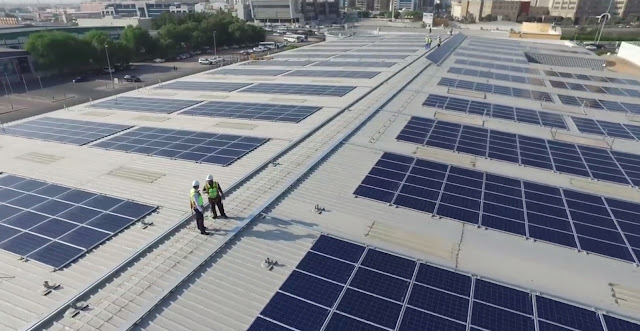 At the end of last month, one of the largest solar rooftop power plants in the region started operating in Dubai, located in the Swiss power and automation technology group ABB's headquarters in Dubai's industrial area by the name of "Al Quoz”. Saeed Mohammed Al Tayer, MD & CEO of Dubai Electricity and Water Authority (DEWA) inaugurated the plant. The attendees at the inauguration included many ABB and DEWA team members, such as the ABB President of Asia, Middle East and Africa (AMEA), Frank Duggan, Executive Vice President-Strategy & Business Development at DEWA, Waleed Salman, managing director and CEO of Dubai Electricity and Water Authority (DEWA), Saeed Mohammed Al Tayer, and ABB Electrification division manager for the Middle East and Africa, Waleed Salman. This solar project is illustrative of ambitious and significant sustainability efforts and their follow-through. Through this, Dubai has come one (small but significant) step closer to becoming the World’s energy-smartest city.